PHOENIX – Fishing trips to scenic Frye Creek, a Gila trout recovery stream located on Mt. Graham in southeast Arizona that offers rare opportunities to hook Gila trout — one of two trout native to Arizona — will have to be put on hold. The Arizona Game and Fish Department has temporarily closed Frye Creek to fishing in order to evaluate and restore a population of Gila trout following widespread habitat damage on Mt. Graham due to this past summer’s Frye Fire and ensuing flooding. The Department hopes to reopen the stream to fishing once habitat is suitable for stocking of Gila trout and a population is established that can sustain angling pressure. Good news for anglers: the closure does not include Frye Mesa Reservoir, where Gila trout are stocked for recreational opportunities. Frye Mesa Reservoir is open to fishing. Fortunately, just prior to the flooding, AZGFD salvaged 190 Gila trout from Frye and Ash creeks and they were transported in good health to the U.S. Fish and Wildlife’s Mora National Fish Hatchery in New Mexico. Recently, AZGFD surveyed the creeks and did not find any fish. 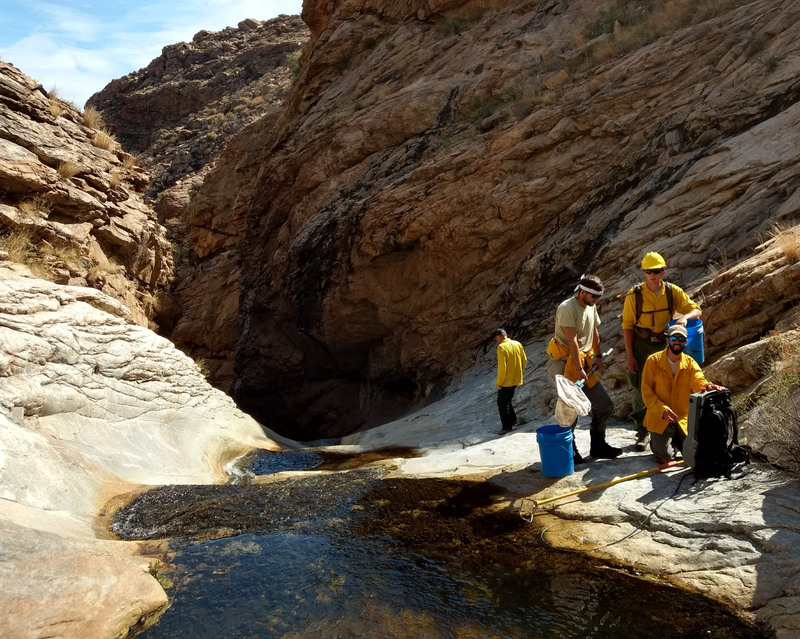 AZGFD will continue to monitor both streams annually to document habitat changes and recovery. Also, see a Mt. Graham closure update from the Coronado National Forest.